Gold Colour Beads There are 4 products. 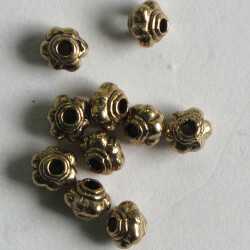 Small Gold Coloured Spacers. Pack of 50. Approx 5mm. 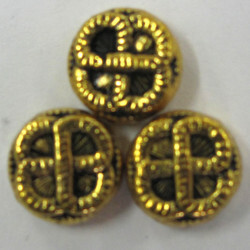 Rounded, embossed, rope design bead. 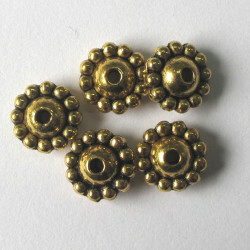 Rounded, Embossed, Rope Design Bead, Antique Gold Colour, Approx. 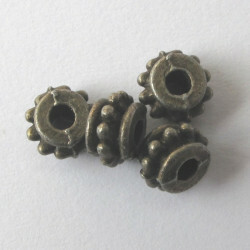 10 mm, Pack of 10. Small barrel bead. Pack of 10. Approx 5 x 7mm. These are a very dark gold colour.